Libraries as Listening Spaces is a site for Jared Wiercinski’s research project and for documenting the audio installations featured in Concordia University‘s Webster Library entrance staircase. Promote and facilitate the use of libraries as public spaces for the playback and enjoyment of sound recordings. Select sound recordings that encourage a contemplative and energized feeling as people enter the library. Showcase the rich diversity of Concordia Library’s sound recording collection. 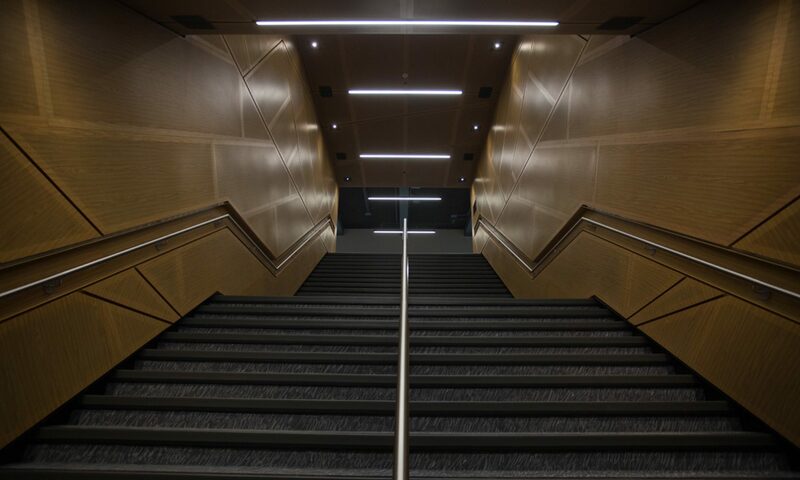 Reach out to and engage the community of sound artists, musicians, DJs, selectors, poets, writers, and sound lovers to develop audio installations for the Webster Library entrance staircase. Interested in proposing an installation? Please contact us. Jared Wiercinski is Associate University Librarian (Research & Graduate Studies) at Concordia University. He is a team member of Concordia’s Spoken Web project which is dedicated to providing access and preservation support to sound recordings of spoken poetry. He has published and presented on topics of streaming media and on the design and use of sound archives.